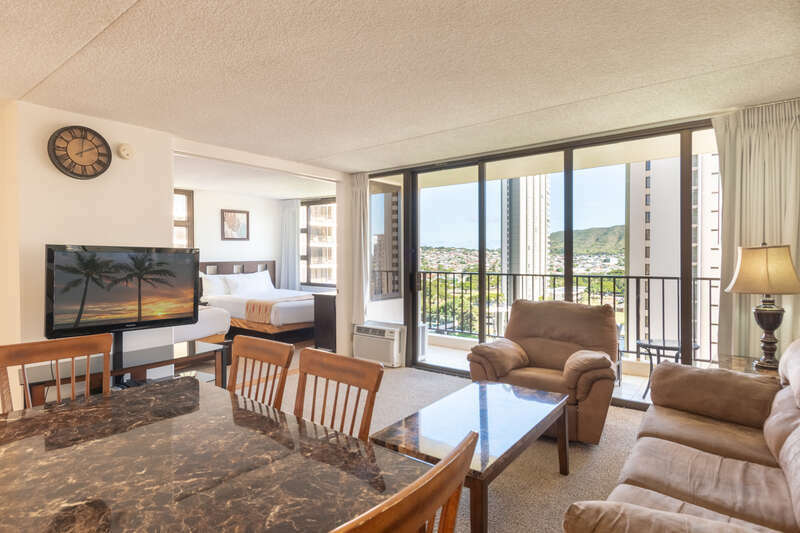 Enjoy the amazing view of the Le' Ahi Mountain from your lanai (balcony) while enjoying all the comforts of home! 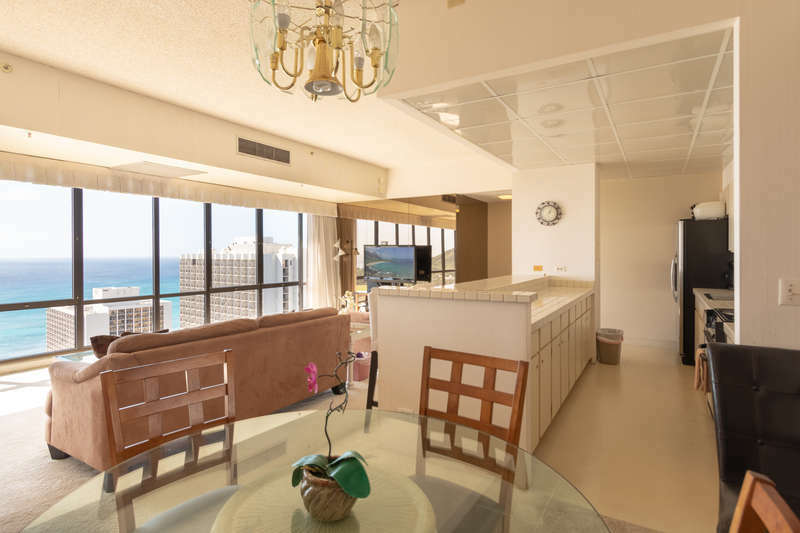 Affordable Waikiki Banyan condo only one block from world famous Waikiki Beach! The updated kitchen features granite counter tops and backsplash, and new appliances. There is plenty of cabinet and counter space. Kitchen includes refrigerator, range, microwave, rice maker, coffee maker, and other kitchen wares. 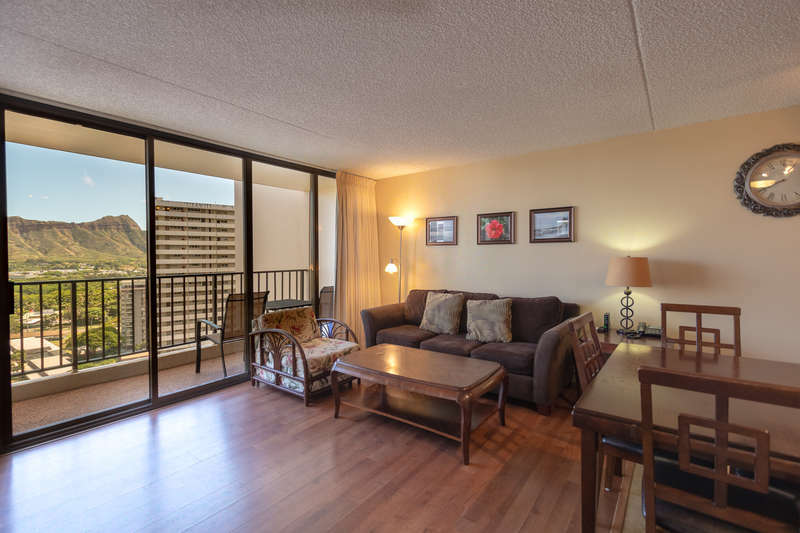 The condo has tile flooring in the kitchen and laminate wood in the living areas. Dining room table seats four. There are lots of seating choices in the living room - relax in a Hawaiian-style sofa, love seat, or sitting chair. Convenient sleeping arrangements include one Queen and one Full bed in the bedroom, and a sofa sleeper with upgraded memory foam mattress in the living room.